For 20 years we were waiting for opportunity to obtain this unique vehicle – a four-axle American tank car from 1944. Unfortunately, for long years the car was outside of our reach – it was staying at the sidings of Siekierki power station and was used as a storage for transformer oil. 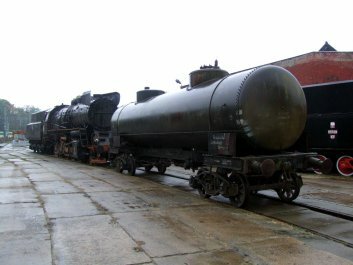 During the changes of the facility owner in 2000 and 2010, the tank car together with other rolling stock from power plant became the possession of DB Schenker Rail Poland. At this point, we decided to get back to the topic and actually obtain the car to our collection. After several years of negotiations we bought the car for a symbolic fee. 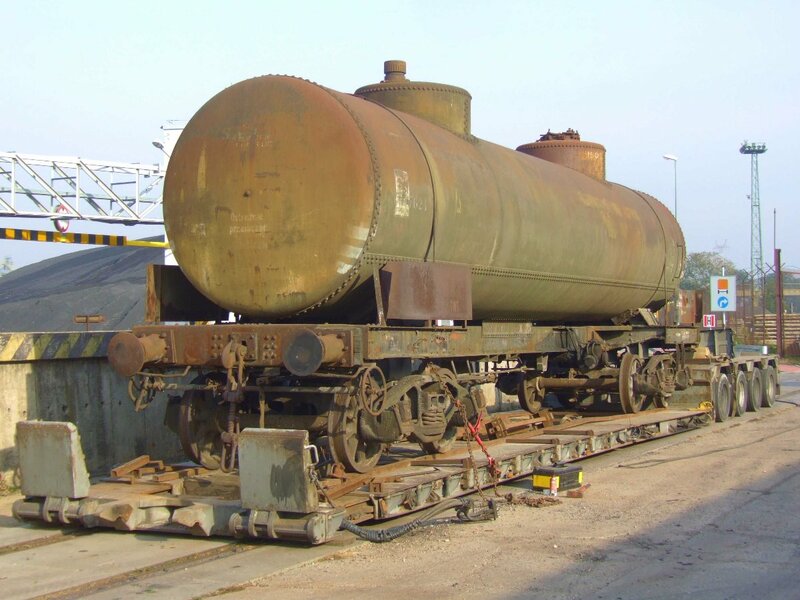 The last task was to transport the tank car to our shed. 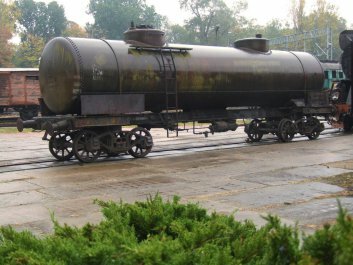 Due to the heavy wear of the couplings and bearings, and short term of reclaiming we had to resign from the most preferred way of moving the car – namely on track. 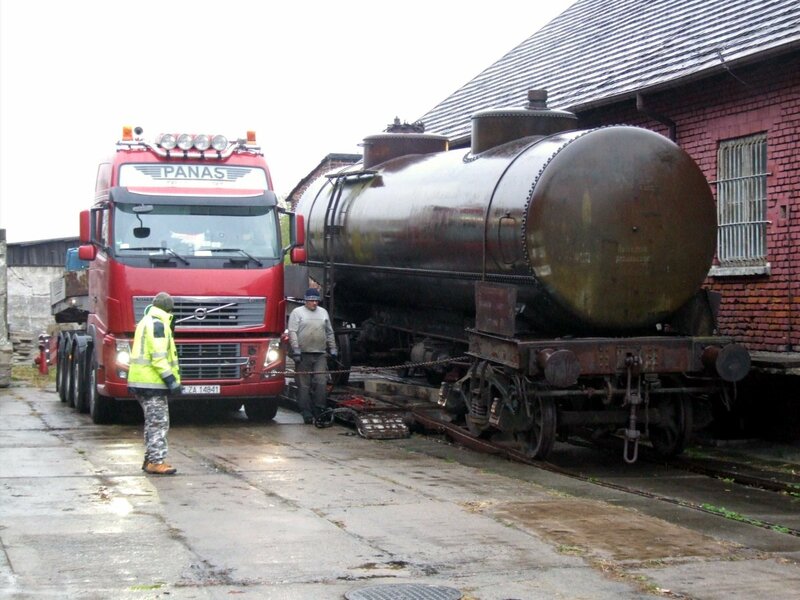 Once again, we had to ask for help the specialists of heavy load road transportation. A special road platform arrived at engine shed at night 15th/16th October and in the early morning the tank car was standing back again on tracks. employees of company “Panas” for professional transportation and unloading services.